ECDPMEventsMeet Lucy: New ideas in governance – Do they work in practice? The Governance Network of OECD has recently published a Governance Practitioner´s Notebook that introduces a fictitious Lucy with the tasks described above. Without being prescriptive and formulaic, it tries to guide her as she is tackling public sector reform, politics, institutions and stakeholders in operational practice. Governance is a key risk and challenge facing the Asia and Pacific region that can derail the achievement of favourable development outcomes. The Sustainable Development Goals also focus on governance and institutions in goal 16 and part of goal 17. But many development partners, including ADB, have struggled to mainstream the attention to governance and institutions effectively across operations. May Lucy and her advisers have a new answer? Or, if not an answer, then sensible questions that will help practitioners deal better with the complex and contested issues around politics, institutions and stakeholders in the widely different situations found across Asia and the Pacific? 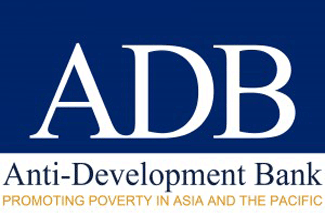 The aim of the event is to improve the dialogue, debate and collaboration in ADB and GIZ, and with their partners in government, business and civil society around governance and institutional performance issues. At the end of the event, it is the aim to have a number of specific recommendations on how to strengthen and mainstream attention to governance and institutional issues in the development collaboration between e.g. ADB and GIZ in the region.